The Balochistan health department has shown the door to 81 contract doctors within the last few days due to their continued absence from duty, DawnNewsTV reported on Monday. Hafiz Abdul Majid, the secretary of the provincial health department, said the sacked doctors, including male and female medical officers, were recruited on a contract basis to ensure the provision of health facilities in far-flung areas of Balochistan. They were among the 487 contract doctors and nurses who were appointed to fill vacancies for medical professionals in basic health units. However, a recent probe revealed that 81 of the doctors had not been showing up to duty for a long time and they were subsequently dismissed. 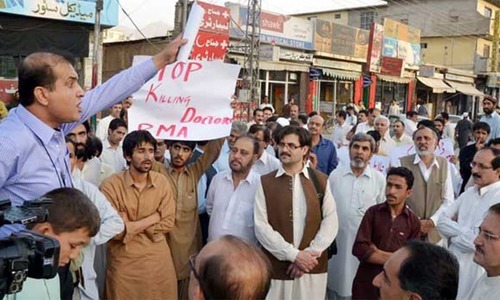 These doctors belonged to Quetta, Mastung and other parts of Balochistan. Majid said following the removal of the doctors, health authorities had managed to make operation theatres functional in five remote districts of the province. Meanwhile, a report issued by the Balochistan health department recently and obtained by DawnNewsTV stated that the large-scale appointment of doctors and nurses on contract basis by the government of Chief Minister Jam Kamal Khan had lessened the shortage of health professionals in the remote areas of the provinces. The doctors and nurses, who have been hired for a year, have all been deputed in their native districts, the report said, adding that doctors will be offered handsome incentives for performing duties in extremely remote areas. It said orders will soon be issued for the appointment of another 300 doctors and nurses on contract basis. What is leading to a brain drain in Balochistan? 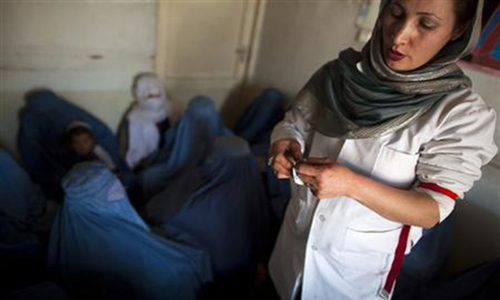 Where are Balochistan’s female doctors? This not enough each of them should be fined for neglegence of duty and return of pay and allowances back to the state and should be disbarred from holding any civil/govt post. This should be across the board. And on top civil cases should be brought forward by patients or on behave of those who did not got medical care due to absentee of the medical personal. Excellent, corrupt doctors have been terminated, no show is the right reason. 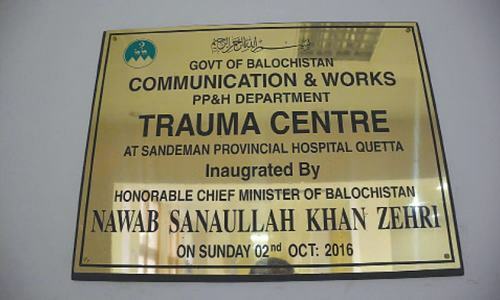 Bravo, Balochistan government is doing great. Other provinces need to learn from them. We have ghosts in Pakistan from school teachers to doctors every civil worker took advantage of weak government but Imran Khan govt don’t play like that. It’s Naya Pakistan. @Asif khan, I like this firing. These doctors must understand, they come under essential duties charter, are not allowed for any kind of absence or strike. Sack the health minister also due to his negligence these doctors are taking advantage fir not going to duty . Most of the jobs were given these doctors on political affiliations and no merit criteria was followed. No one is indispensable. Get rid of slackers and blackmailers. I have never heard news of hiring Engineers. Are they really doctors? Their MBBS degree are also questionable? Govt action is correct but late, because patients can't wait. Excellent, but put them behind bars.